« Dufferin Region Job Fair! 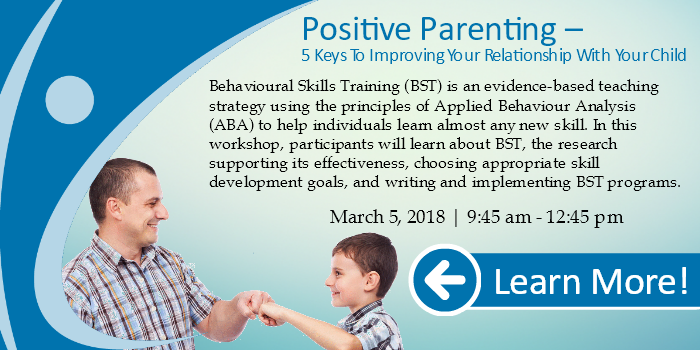 Behavioural Skills Training (BST) is an evidence-based teaching strategy using the principles of Applied Behaviour Analysis (ABA) to help individuals learn almost any new skill. 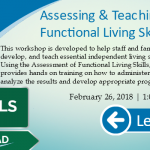 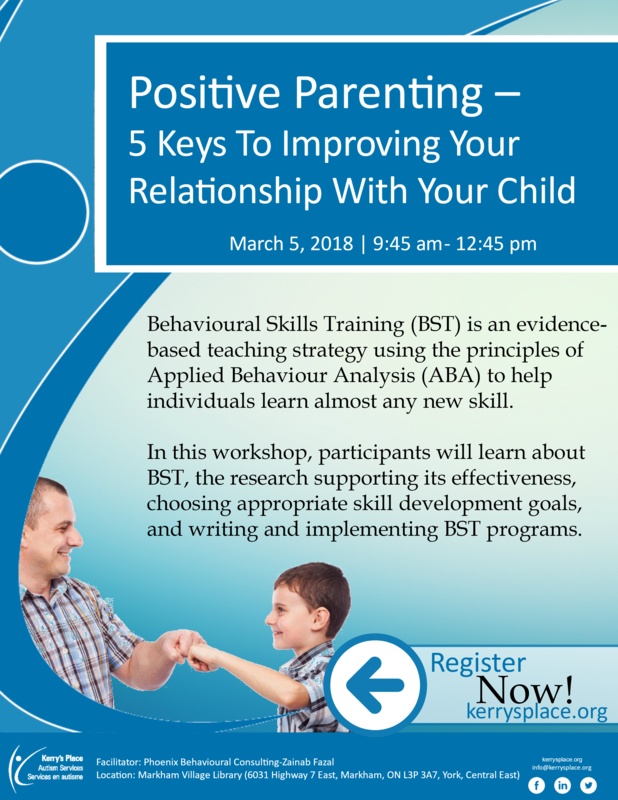 In this workshop, participants will learn about BST, the research supporting its effectiveness, choosing appropriate skill development goals, and writing and implementing BST programs.